Speaker Nabih Berri was quoted on Wednesday as saying that he intervened several times in order to solve the obstacles hindering the Cabinet formation. 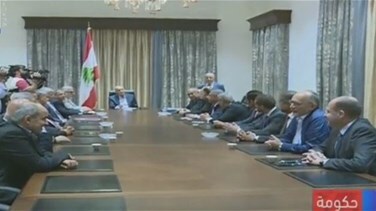 Berri’s comments were quoted by his visitors during his Wednesday’s weekly meeting with MPs in Ain el-Tineh whereby he said that there is no reason that justifies the delay in the Cabinet formation. “I will call for a legislative session before the end of this month,” he added.